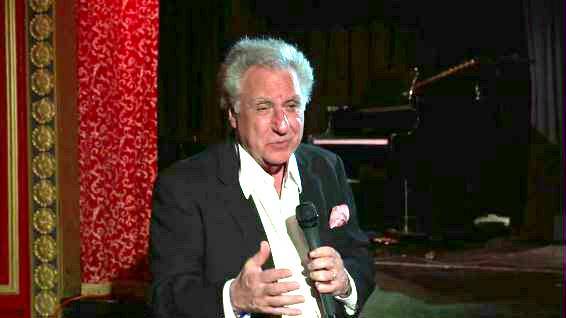 Stewie Stone is a classic Catskills comedy performer who is still doing his shtick in Florida and wherever Jewish audiences can be found. Stone is living proof that you can take the kid out of Brooklyn, but you can't take Brooklyn out of the kid. Even his name, Stewie, comes direct from Flatbush. "In Brooklyn," he explains, "we're very big on vowels. We put 'E's at the end of everything -- Hermie, Frankie, Stewie. " Stone started as a drummer for New York bands, became a midweek entertainer at the Concord Hotel in the Catskills, and worked his way up to being the opening act for Paul Anka, Frankie Avalon, Dionne Warwick, Ben Vereen, Bobby Vinton, Sonny & Cher, and Engelbert Humperdinck in Las Vegas. Dave Konig and Brent Katz created a short film 'Stewie Stone: In One', based on the life and comedy of Stewie Stone. In the film, Stone reminisces about his life in stand-up comedy. A Joke to Start the Week - "Keeping the Faith"
Sephardim vs. Ashkenazim - Part Two: Food Fight ! A Joke to Start the Week: "Haircut"
A Joke to Start the Week: "Shoveling Expert"